Which character would you want in an emergency? 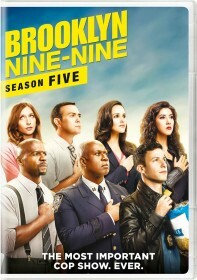 You are viewing a list of Perry Anzilotti's 1 appearance on Brooklyn Nine-Nine. When Madeline Wuntch gives Jake all the resources he needs to tackle a high-profile case, Holt is suspicious that she's setting the precinct up for failure. Meanwhile, Terry hosts a field trip for a local magnet school in the hopes of impressing the school administrator, with Amy, Rosa and Gina's help.